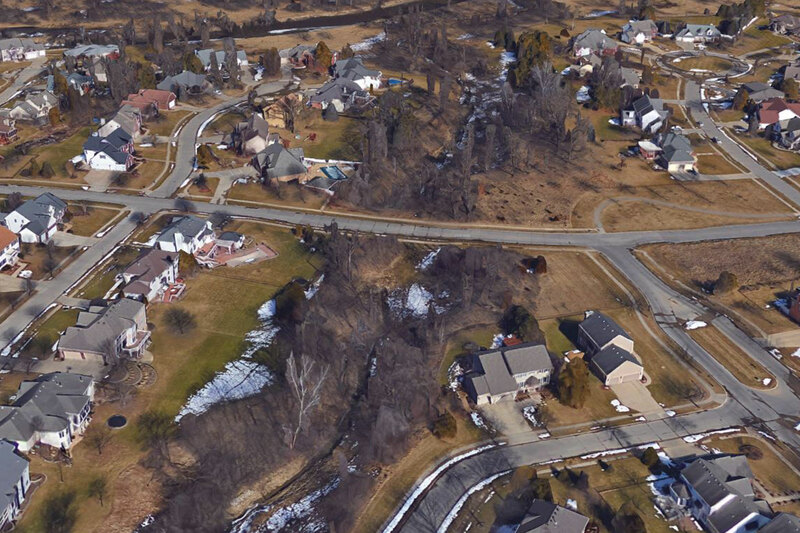 Right-of-way, location, topographic, and utility survey of a ½-mile creek corridor. This wooded creek runs through residential areas near Foxboro Road. 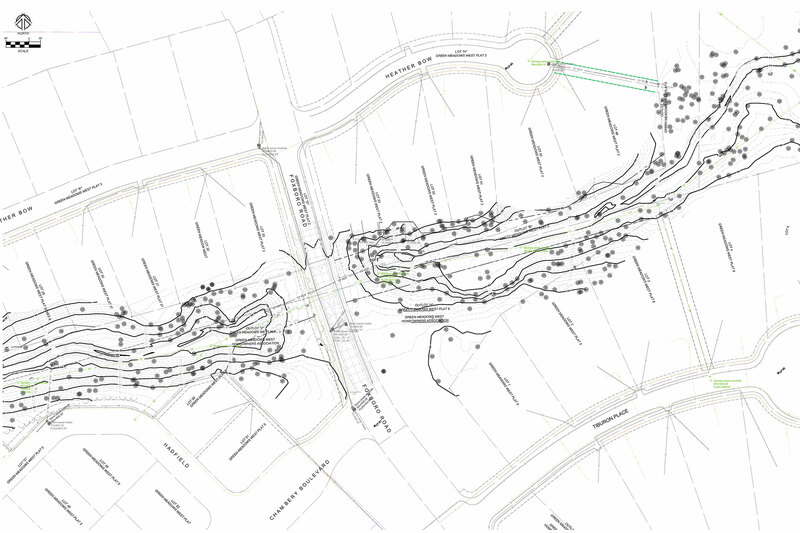 Nilles Associates, Inc. was subcontracted for the survey used in concept planning and final design of this stream rehabilitation. We prepared right-of-way acquisition plats and temporary and permanent easement documents for the City of Johnston, Iowa as needed. We also performed construction staking and an as-built survey that included the preparation of a monument preservation certificate.